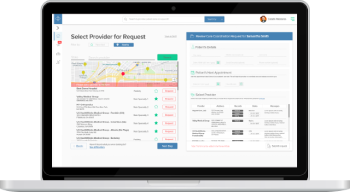 Choose an Organization that Puts the Power of Streamlined Request Fulfillment Into Your Hands. 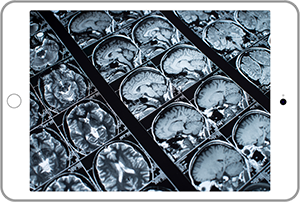 Searching for medical records retrieval companies or desiring to streamline your retrieval process? Rely on ChartRequest. Accelerate how quickly you receive the medical records you need to mitigate risk during the underwriting process. Improve how swiftly you process claims and detect fraud with ChartRequest’s optimized workflows. Ideal for law firms who request protected health information (PHI) for their clients. 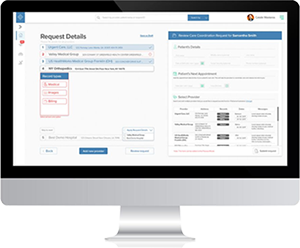 Build a case, and request records from multiple providers in just a few clicks. If you regularly use the Social Security’s Electronic Records Express, outsource your account management to ChartRequest. Leverage ChartRequest to grow your organization. Our platform will cut costs while reducing the time it takes to deliver records to clients. When it comes to requesting health information, there’s a reason organizations outsource their activities to medical records retrieval companies. The typical method of obtaining records is in the Dark Ages—an inefficient process that involves faxed documents or mailed records and multiple, asynchronous phone calls to the provider. And when it comes to most release of information services, software is an afterthought. 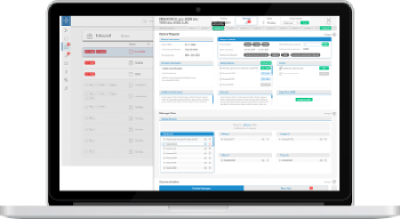 No matter your industry, our platform empowers your organization to streamline their records request workflows with a secure and compliant software solution—built for medical records release in the digital age. ChartRequest adds over 250 provider organizations to its retrieval network every month, and we are scaling rapidly. With a large, connected network of tens of thousands of provider organizations, we are simplifying the process for all parties. Shorten the time it takes to send requests and receive records. ChartRequest automates requests for protected health information (PHI), leveraging efficient workflows to reduce your turnaround times. At a glance, see every medical request you’ve made through our online platform. 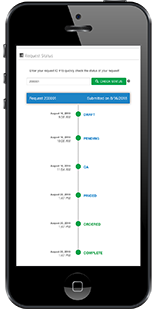 ChartRequest sorts requests by their location in the release of information process, providing critical visibility. Over time, inaccurately priced records can create a major expense. The good news is, ChartRequest relies on pricing algorithms that adhere to standards set by state and federal entities. Whether you’re a medical records retrieval company, workers’ compensation carrier, or health insurance firm, checking the status of your requests can waste precious hours. ChartRequest allows you to instantly see the status of any request in our online platform. 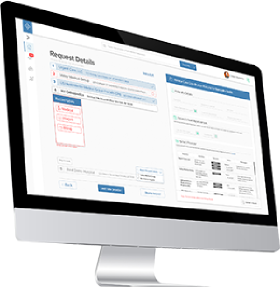 ChartRequest makes it simple to share records that you have access to across your organization to streamline your workflows. We also have a robust API to help you configure and customize your workflows.